In 1978, when he was 19 years old, Prince signed with Warner Bros. and released his debut album, “For You.” Prince is credited with playing every instrument and singing all of the vocals on the album, which ran contrary to recording albums during the beginning of the megastar boom that would define the music of the 1980s. Albums of this period typically relied on an army of producers, arrangers, composers and musicians. Michael Jackson’s album “Off the Wall” (1979), for example, credits nearly 40 session musicians and over 15 composers and arrangers. While it wasn’t a major success, “For You” revealed Prince’s budding genius and his desire to exert control over all elements of his work, allowing him to stay true to his artistic vision. “For You” was the first in a long line of studio albums that Prince produced with Warner Bros. After the release of two other developmental efforts, he released “1999” (1983) and “Purple Rain” (1984), which established the showman as one of the most unique, diverse and dominant pop artists of the 1980s. However, by the early 1990s, the relationship between Prince and Warner Bros. began to cool. After the success of “Diamonds and Pearls” (1991), Prince signed a six-album, US$100 million contract with the record company. But the details of the contract led to a prolonged legal and creative battle concerning ownership of Prince’s entire Warner Bros. catalog. Under the contract, Warner Bros. received ownership of Prince’s body of work that he had produced for the company. For his part, Prince received a sudden influx of cash to continue working on recording projects at his Paisley Park Records studio in Minnesota. 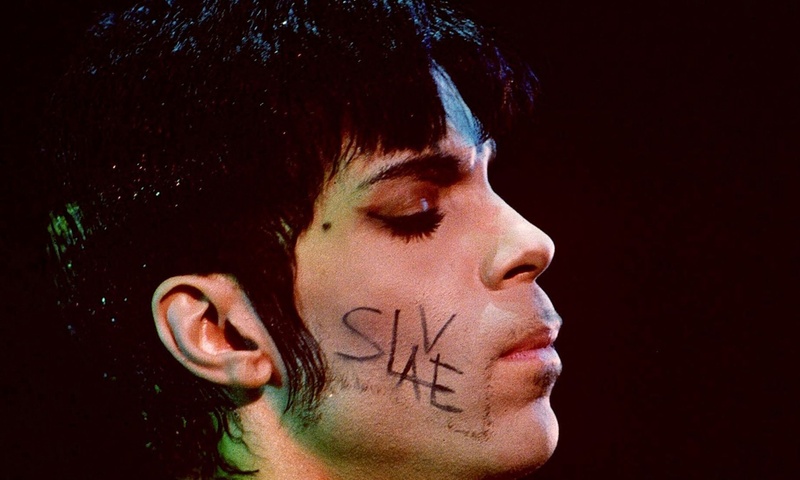 As Prince grew increasingly frustrated that he had surrendered the rights to his music, the artist began to rebel by publicly appearing with “Slave” written on his cheek. He also changed his name to a symbol, which occurred after the artist declared his former artistic self dead. To meet the recording demands of the contract – which dictated that Prince needed to produce new albums under the Warner Bros. name – he opted to release prerecorded music to Warner Bros. His final release from this period, “Chaos and Disorder” (1996), is a hodgepodge of hastily written songs that serve as a tongue-in-cheek rebuke to Warner Bros., while allowing the artist to fulfill his obligations to the company. Given Prince’s public, prolonged dispute with Warner Bros., the damage may have seemed irreparable. However, the two sides renewed their working relationship in 2014, a move that restored Prince’s ownership of his earlier Warner Bros. releases. Prince spent the last decade of his life fighting other areas of the music industry to ensure that his creative works were protected. In 2007, Prince and Universal Music sued a mother after she posted a video of her son dancing to a Prince song on YouTube. Then, in 2014, the artist filed suit against 20 people who he claimed violated his copyright protections by either posting his songs online or by participating in file sharing services that posted his music. The complaint sought $1 million in damages from each person. Prince’s lawsuits were meant more to draw attention to issues of copyright infringement than they were to ruin the finances of mothers and kids sharing files on the Internet. After those accused of violating copyright in the cases mentioned ceased their activity, Prince dropped the cases. More recently, Prince, along with other artists such as Taylor Swift, began demanding that online retailers and streaming services pay better royalties to the artists whose music they play. In 2015, Prince pulled his music from most online vendors, opting to deal exclusively with Jay Z’s service, TIDAL. Prince’s fight to protect his creative voice has reverberated to the most remote corners of the music world. Choral arrangers – who typically pay a license fee in order to access rights that they then arrange for choral groups – are barred from using the artist’s music as material. Prince’s legacy as a brilliant and extraordinarily unique musician will endure in the nearly 30 studio albums that he produced. But the artist should also be remembered for his work as an advocate for protecting the creative property of musicians and their music. Throughout his career, Prince’s willingness to engage in ownership battles over creative rights played a major role in the growing wave of discontent toward the music industry, now led by Jay Z, David Byrne and Neil Young, among others. Just as “For You” displayed an artist in total control of his medium, Prince’s battle to maintain control over his music throughout his career will ensure that the legacy he leaves is in the exact voice that he intended.